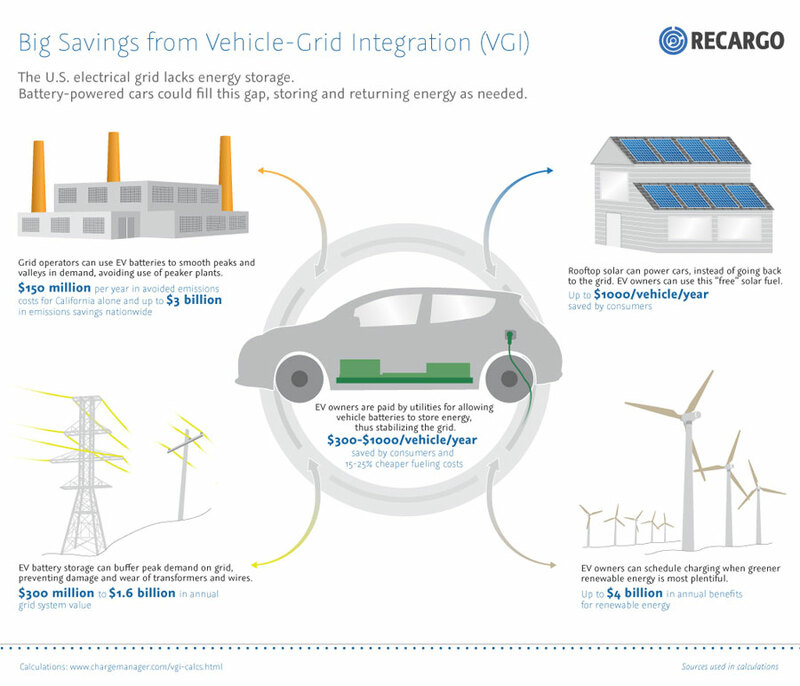 Working with Recargo, a software and services company that provides guidance to drivers and those in the industry of plug-in car technology, I designed an infographic that depicts the savings possibilities of vehicle-grid integration (VGI). Imagine a world where you drive your electric vehicle home each day and plug it in. The power to charge your vehicle comes from the solar panels that are sitting on the roof of your house. Seems simple enough. You now have an overflow of power that your household will not fully use from your solar panels, so that extra electricity can be put back into the main electrical grid at peak demand times. Everyone would benefit with this system including consumers, grid operators, electric vehicle owners and utility companies. Talk about a sneak peak into the future!